Yes, now you too can come up with amazing and creative ideas without taking any expensive classes or learning any new skills. 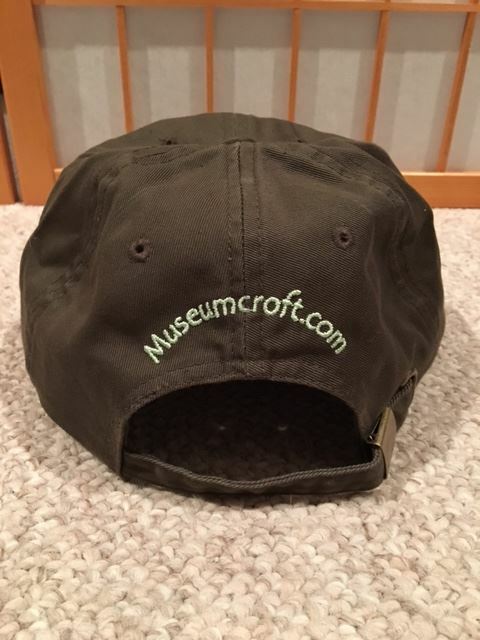 Simply purchase and put on your Museumcroft.com Thinking Cap™ and you will immediately begin to possess powerful new creative abilities*(see disclaimer below). This is no ordinary company logo hat. 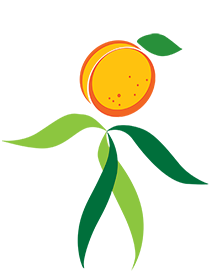 It has been unscientifically proven that people who put on their Thinking Caps™ experience significantly faster firing of neurons in the frontal and temporal lobes of the brain, boosted blood-oxygen levels supplied to the cranium, and a marked improvement in ability to see the hidden images in optical illusion posters and score higher on Rorschach inkblot tests. These bogus results shouldn’t surprise us. Think about it for a moment. A cap with a lightbulb on it almost guarantees a positive effect on brain activity, but wait there’s more!!! When the lights go out, your Museumcroft.com Thinking Cap™ cranks up the power and the light bulb logo actually illuminates, turning “ON” in the dark. Museumcroft lightbulb power works 24 hours a day, 7 days a week with no breaks for holidays or leap years. Now there’s absolutely no excuse for failing to show that creative side of your personality that you know has always been hidden inside. Museumcroft.com Thinking Caps™ make great gifts for college students pulling an all-nighter, new parents needing a boost of mental energy for 2am feedings, or anyone wanting to become a world-class artist. Tap into the power of the lightbulb. These washed polo-style caps are of outstanding quality, made from 100% cotton with adjustable strap and brass buckle in back–one size fits most. Available in 3 colors – olive green, navy blue and cocoa brown. 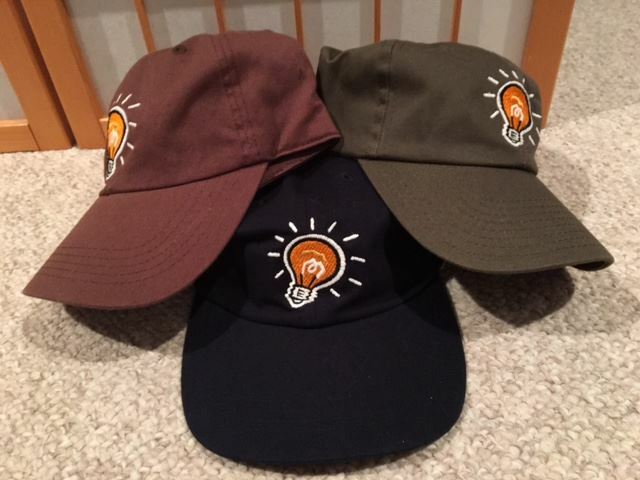 *DISCLAIMER - The above claims about the Museumcroft.com Thinking Cap™ pertaining to increased mental production are categorically false, but the lightbulb logo really does turn ON in the dark, the caps are indeed very cool, and your purchase will help support small museums everywhere, so stop nitpicking and order today. Just to be safe, we're making this print extra small.